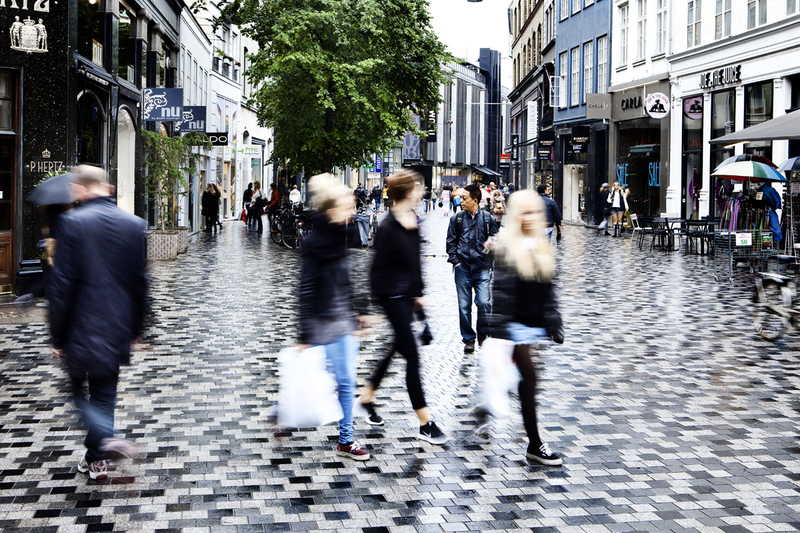 The project in Købmagergade creates an attractive and coherent urban space from Nørreport station to Amagertorv. We have created a walking path without levels, which stretches from facade to facade in the course of the street and the appurtenant squares. Natural stone in black and white shades create a unique passage where the pavement changes in character from being light in the streets to darker in the squares. With this new pavement, experiences of urban space for residents, traders and business owners are secured, and the flexibility of the shopping street is utilized. On a Saturday morning the street can accommodate many shoppers, whereas on a less traficated Sunday evening the nuances of Købmagergade comes into their own.